In previous posts, we’ve discussed interviews, resumes, and the general recruiting process. 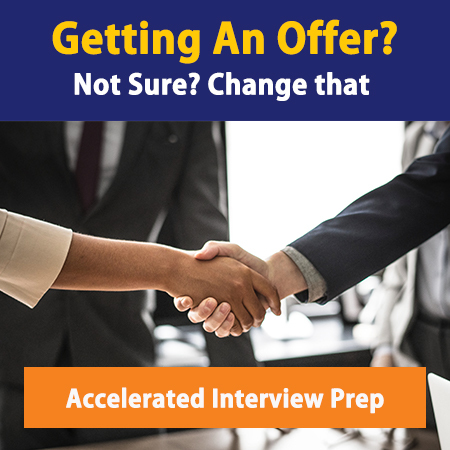 Today, we want to touch upon one of the most important but often overlooked aspects of the interview process – the case interview, and even non-standard case interview questions. 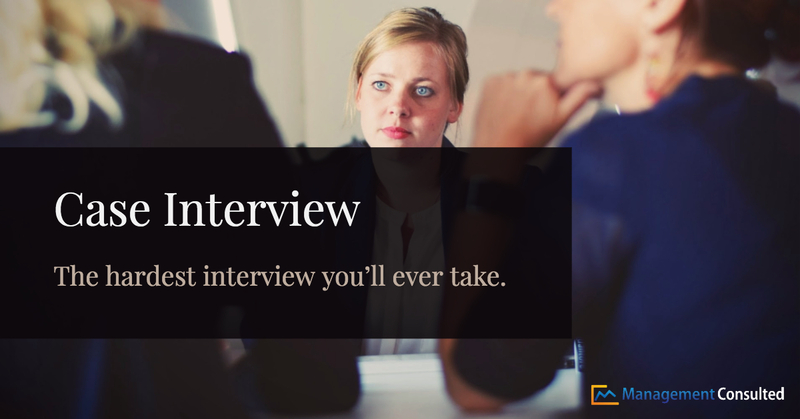 If there’s one question on the mind of every aspiring consulting applicant, it is this: what is a case interview? How is it set up? What am I being asked to do? And most important, how do I master it? Put simply, a case interview is where you are asked to solve a business problem, on the fly, with limited information. There will always be math involved, and you’ll be expected to talk your interviewer through your calculations and thought and decision-making processes. The goal of the case interview isn’t necessarily to get you to solve the business problem – it’s to see if you can think like a consultant, whether you can think on your feet, if the numbers you produce are logical, and if you can be trusted to communicate key insights in front of a CEO client. Profitability, Market Sizing, Market Study, and Mergers & Acquisitions. These are general frameworks, but do a good job of organizing the main kinds of problems consultants solve on a project-to-project basis, and thus the types of problems that are presented in case interviews. Profitability cases generally deal with a client trying to decide what to with revenues, costs, or overall revenue. Market Sizing cases examine the size of a current market (usually in revenue), while Market Study cases examine whether a client should enter a new market or not, as well as the declining market share of a client. Finally, there are M&A cases. These are the big boys of case problems, as M&A cases include Profitability, Market Sizing, and Market Study concepts all in one case. These cases are all about whether Company A should merge with Company B, or whether Company Y should acquire Company Z. Remember the one overarching goal of both of these transactions, though: increased profitability for the client! A case study mirrors the work that consultants do day-to-day. What should I do to prepare myself? Practice as much as possible with friends, colleagues, contacts within consulting firms. Even practice in front of a mirror to assess your communication style, body language, etc. Out loud practice is the key. Review case study-specific resources – from the Vault Guides to Cosentino’s Case in Point. Don’t go overboard (in particular, Cosentino’s guide is helpful but not a must-have). Go through our consulting-specific prep courses, and work with our expert MBB coaches. Review general business problems – get your hands on as many case studies as possible. Most consulting firms post a few online, such as McKinsey here. The more exposure you have, the more familiar each question will seem. Even when you’re reading the Wall Street Journal, Fortune, etc. – put yourself into the CEO’s shoes at every opportunity. We released a guide on case studies and consulting interview questions. Click here to check it out! I’m not that good at case interviews. Can I get an offer by conquering the “fit questions” and my resume? No. Your performance on case studies accounts for at least 50% (and usually more) of your “score” in determining offers. It is the most underprepared area for candidates, but something the best applicants excel at. If you want an offer, you’ll practice, practice, practice. So what does a case interview question look like, anyway? Market Sizing: Estimate the number of gas stations in Chicago. Profitability: Your client is a well-known beer company. The company manufactures and sells beer. It is sold in pubs/restaurants and in bottles/cans (supermarkets, grocery stores, etc. ), but mainly in pubs/restaurants. Recently, the client has become aware that profits have been declining while those of their main competitors have been increasing. Where would you start to solve this problem? Market Study: A small life-science technology startup, One for the Road, Inc. (ORI), has invested a huge amount of money in R&D and was recently granted a patent for a new breakthrough patent. The client wants to know what approach it should take to commercialize the product. M&A: Companies All Liquorice (AL) and Black Delight (BD) are both in the candy industry in the UK. The candy industry produces chocolate, liquorice, and chewing gum. There are 4 players in the market. Besides AL and BD, there is Chewin, the market leader and most profitable company, and Devotion. The market is competitive and strong consolidation has taken place over the last years. Now the Board of All Liquorice wants to acquire Black Delight. Why do you think they want to acquire Black Delight? Can you explain why Starbucks actively promotes the construction of locations that are so close to each other that they cannibalize sales? If this happens, don’t panic. The interviewer is still looking for the same things – how crisp and logical is your thinking; how well do you communicate those thoughts; and how much do you understand the basic business underpinnings. We give you tons more info on the case study interview, sizing questions, and fit/experiential interview questions in The Consulting Bible. With 300+ power-packed pages – including 16 case studies with exhibits – you’ll jump ahead of your competition with this top global resource on consulting interviews. For more information on case interview resources, contact us today! Click here to buy now and start landing consulting jobs with interview prep or resume prep!